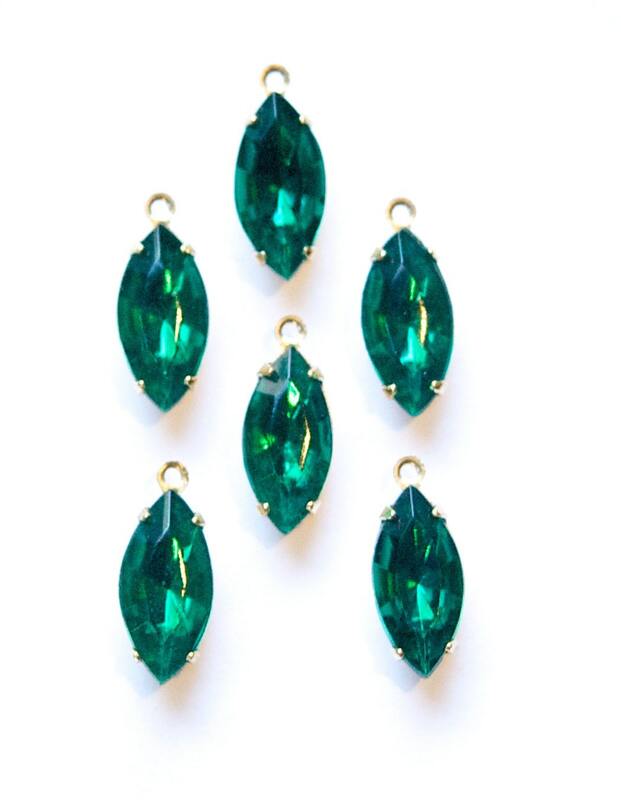 These are vintage faceted glass stones. These are set in one loop brass setting. The stones measure 15x7mm. You will receive 6 pieces. Very nice. nice color. Good communication. great quality, speedy delivery! thanks!